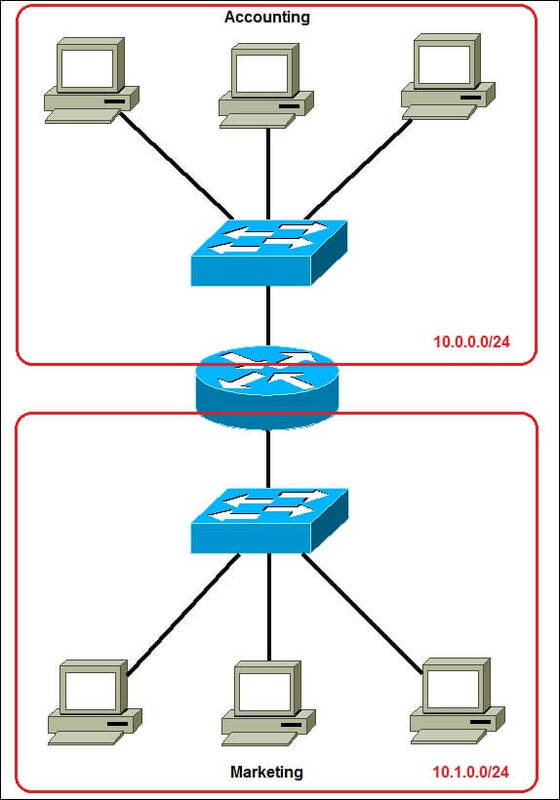 Subnetting explained - CCNA Academy-a Free CCNA Tutorials. Study CCNA for free! 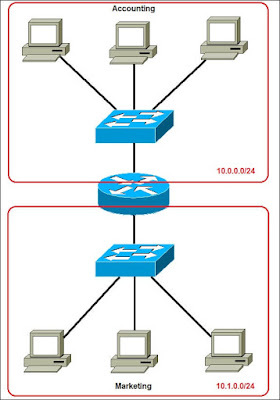 The subnetting divides the network into two or more smaller networks. This improves routing efficiency, improves network security, and reduces the size of the broadcast domain. In the picture above we have a huge network: 10.0.0.0/24. All hosts on the network are on the same subnet, which has the following drawbacks:one broadcast domain - all hosts are in the same broadcast domain. Broadcast sent from any device on the network is processed by all hosts.Network security. 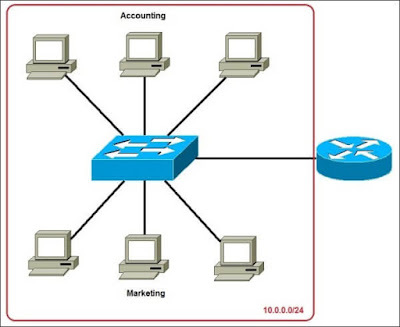 Each device can connect to another device on the subnet, which can cause security problems. For example, the confidential information server is on the same network as the end user's workstation.organizational problems - in large networks, different services are usually grouped into different subnets. For example, you can group all Accountry devices on the same subnet, and then grant confidential financial data only to hosts on that subnet. 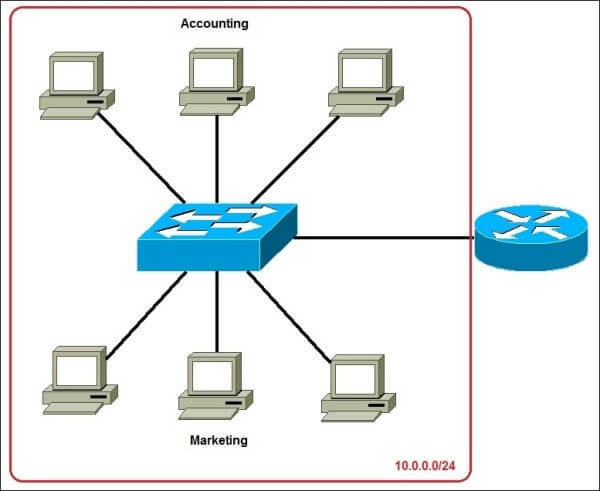 Now for different departments two Subnets are created: 10.0.0.0/24 for accounting and 10.1.0.0/24 for marketing. The devices in each Subnet are now in a different broadcast domain.